I cannot choose only one book by Maggie. I love all of her books, but I'm a big fan of The Scorpio Races and currently I'm reading The Raven King! Thanks for the opportunity by the way! My favourite book is The Dream Thieves by her. Inspiring and creative! 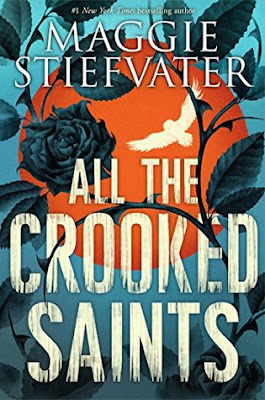 Just like the characters in all her stories, Maggie Stiefvater develops the main characters in All the Crooked Saints so well, you actually miss them when you put down the book. More! I want more!